I hope everyone had a great New Year’s Eve last night. We celebrated with a few of our close friends. The evening started with some appetizers. 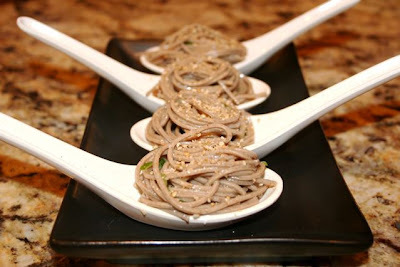 First up was a cold sesame soba noodle salad. 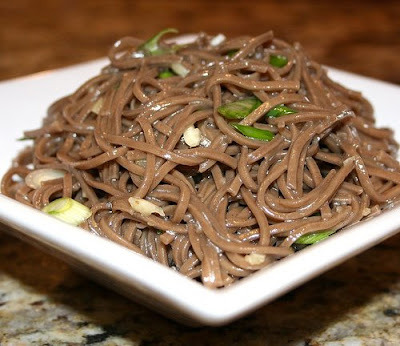 This was made by cooking and cooling soba noodles. These were simply mixed with some chopped garlic and green onions, lime juice, Vietnamese fish sauce and a splash of hot sauce. 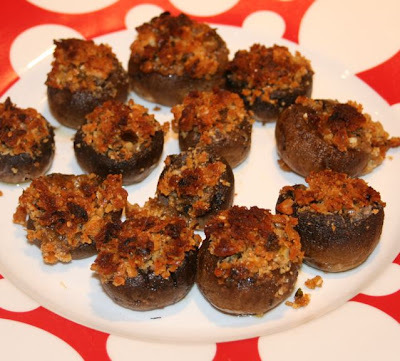 I also made mushrooms stuffed with breadcrumbs, parmigiano reggiano, mint and olive oil. 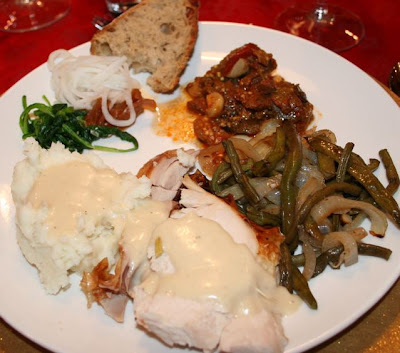 Dinner was roasted turkey with mashed potatoes. I also roasted some green beans and onions seasoned with garlic, balsamic vinegar and honey. My friend from Turkey brought a Turkish beef and eggplant dish and my friend from Korea brought some Korean pickled vegetables. 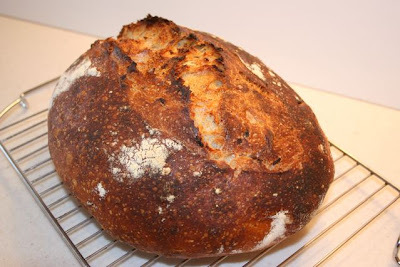 I made some more no-knead bread flavored with onion and herbs. Ah, dessert was interesting. If you live in my part of the world with lots of Norwegian influences you can find lefse everywhere. They have wonderful lefse in all the grocery stores. Lefse is kind of a crepe made with potato. It’s drier than a crepe and doesn’t have eggs in it. Sort of a very thin potato pancake (or tortilla). It is usually served with butter, sugar and cinnamon. 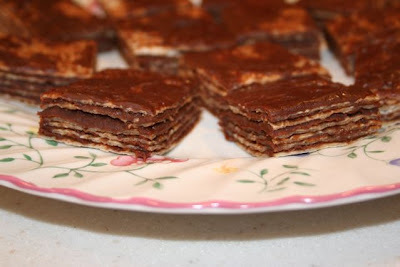 I decided to layer them with chocolate ganache. I let this firm up and I cut them into squares. 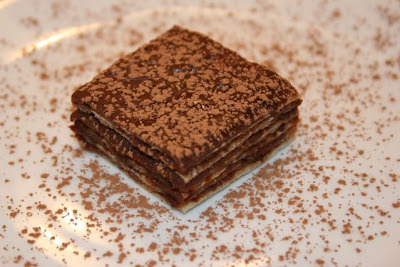 The combination of the potato flavor and chocolate was very interesting. It went over very well I think.